I love face masks. Even before I see any benefits, I love the feeling I get when I put on a face mask because it means I’m giving my skin some extra TLC, and anyone who knows me will know that I have problem skin so I like to treat it to as many lotions and potions as I can without overloading it. But for anyone unsure about what mask to try, the difference between leave on masks and sheet masks, or wondering if there really is any point in putting on a face mask, keep reading. While their most important function is to improve your skin, the first thing that comes to my mind when using a face mask is the relaxation element. After a long day, I like to make a bit of a ritual of treating my skin well, so after I wash my face and get into my PJs, I pick my favourite mask and lie back for ten minutes with my eyes closed. It’s one of the best ways to wind down for the evening. Again, this is dependent on the mask so it’s important to get the right mask for you skin type. Masks can help even out your skin tone, improve the appearance of pores, reduce fine lines and even help with blemishes and acne – trust me on this one. It’s not a magical overnight cure for your spots (nothing really is), I have found most masks boost my skins fight against them and usually reduces the anger of some spots. Many masks help stimulate blood circulation, as does the action of taking them off, which leaves your skin softer, newer and glowing. Look out for masks that have stimulating ingredients like mint for this, as well as masks that promise to brighten dull skin. This is one of the other major things I think about when putting on a mask, particularly ones that you’re meant to leave on overnight. They’re super hydrating for your skin, and leaving it on overnight will allow them to keep your skin moisturised for hours and the water will travel deep into your skin to help it stay soft and supple. Clay masks are particularly good at drawing out impurities and absorb excess oil and toxins from the skin. However, resist the temptation to let the clay mask dry completely – this could lead to the clay mask drawing out moisture from your skin. Sheet masks can be as beneficial as normal masks but they’re easier to travel with and a lot less messy. They can also be left on longer because they work more like a serum. Although, you still shouldn’t leave it on for more than 20-30 minutes. Avoid over moisturising after your mask – but don’t skip it altogether. Some masks can leave your skin feeling like it needs moisturiser, while others feel like they are enough. The key is to meet in the middle and put on your standard amount of moisturiser to keep your skin hydrated. Contrary to popular belief, steam doesn’t open your pores, because your pores do not open and close like a window. However, steam does soften you skin and help loosen any bacteria or impurities, which will make it easier for a face mask to work its magic. 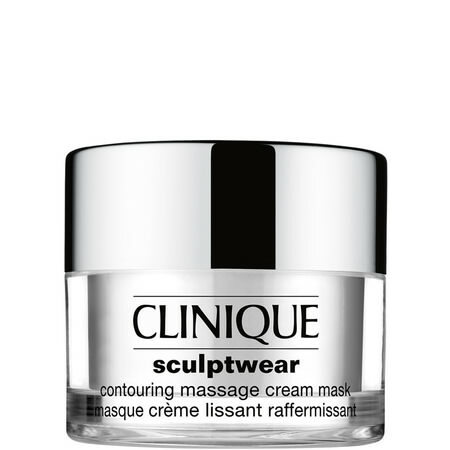 Overnight masks are a great one for those who feel like they have no time and for those with especially dehydrated skin. No mask makes my skin feel softer or more moisturised than an overnight mask. Sheet: I have not had the pleasure of trying enough sheet masks yet (I feel another post coming on!) 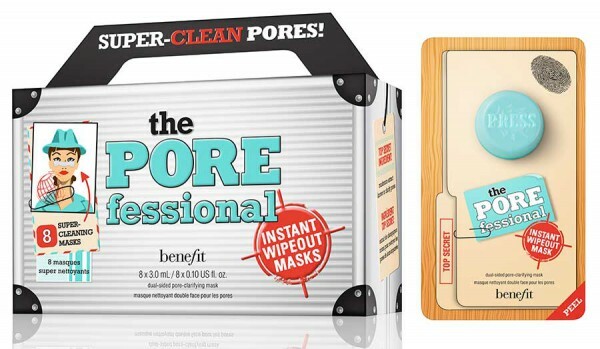 but one I am a fan of is the Benefit Porefessional Instant Wipeout Mask. It has a cooling and tingly feeling when you apply it and I find it helps draw out imperfections. It’s not a full face sheet mask, it’s good for targeted areas and is shaped to fit your forehead, nose or chin area. These cost €35 for a pack of eight. 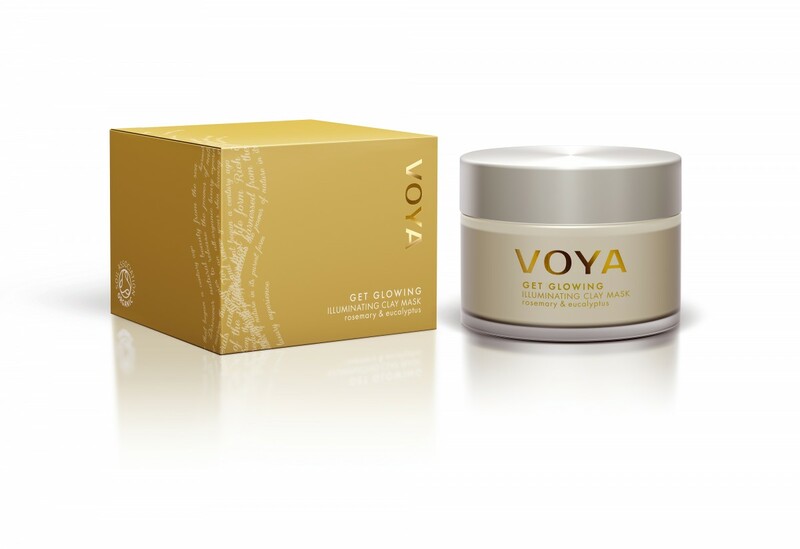 Clay: My favourite clay mask is definitely the Voya Get Glowing Illuminating Clay Mask. This one is €38 for a 50ml tub but it’s Irish and highly organic. It’s particularly good for brightening your skin and as it’s a clay maks, I find it good for clearing my impurities too. A more reasonably priced one is the Super Facialist Salicylic Acid Anti Blemish Clay Mask, which is on sale for €7.99 at the moment in Boots for 125mls. Overnight: I’ve two overnight masks that I go between. 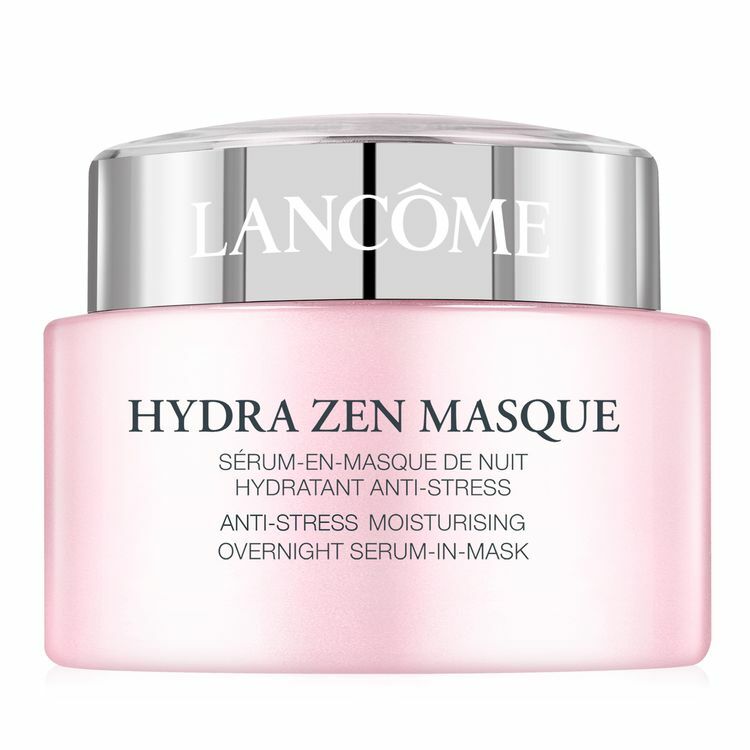 I’m obsessed with the Lancôme Hydra Zen Overnight Serum-in-Mask. It’s on the pricey side at €55 in Debenhams, but it’s a big 75ml tub and a little goes a very long way as it’s quite runny but still has a thick enough consistency that you wouldn’t need much. It’s the most hydrating mask I’ve ever tried and my skin is so soft the next morning. My other favourite is more budget friendly, at €33 for 90mls. 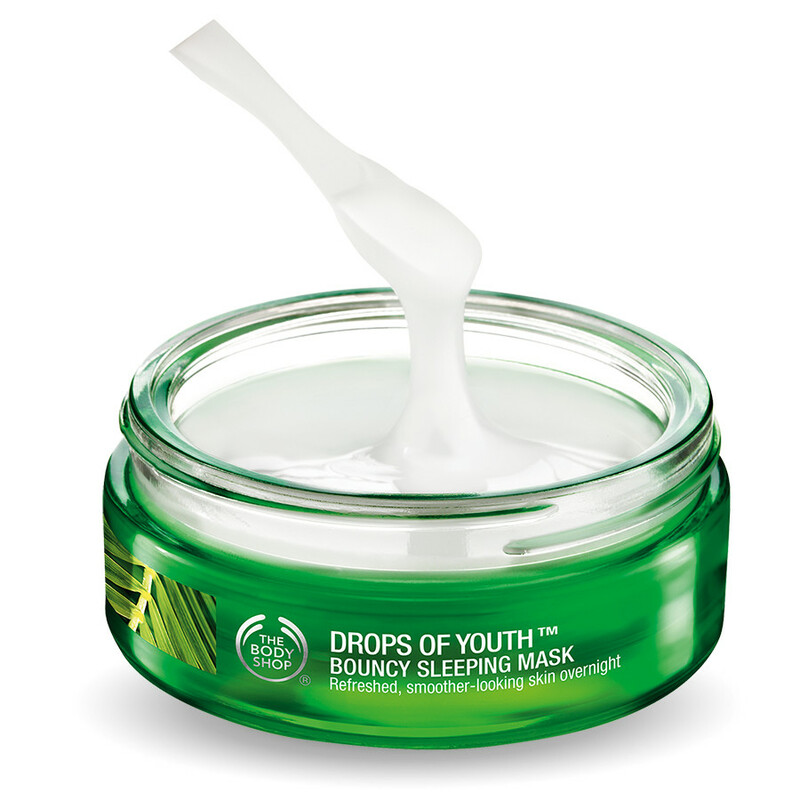 It’s the Drops of Youth Bouncy Sleeping Mask from The Body Shop. I know it’s not under the €20 mark, but I’ve had mine for well over a year and I still have a lot left. It’s one of my favourite names for a mask particularly when you feel the consistency of it. It really does bounce when you poke it, almost like a bowl of jelly. It doesn’t jiggle like jelly but it does set back into place in the jar. There’s a handy little spatula to go with it too. If you’re looking for something for dry skin rather than problem skin, Claire has two absolute faves for masks that combat dry skin. 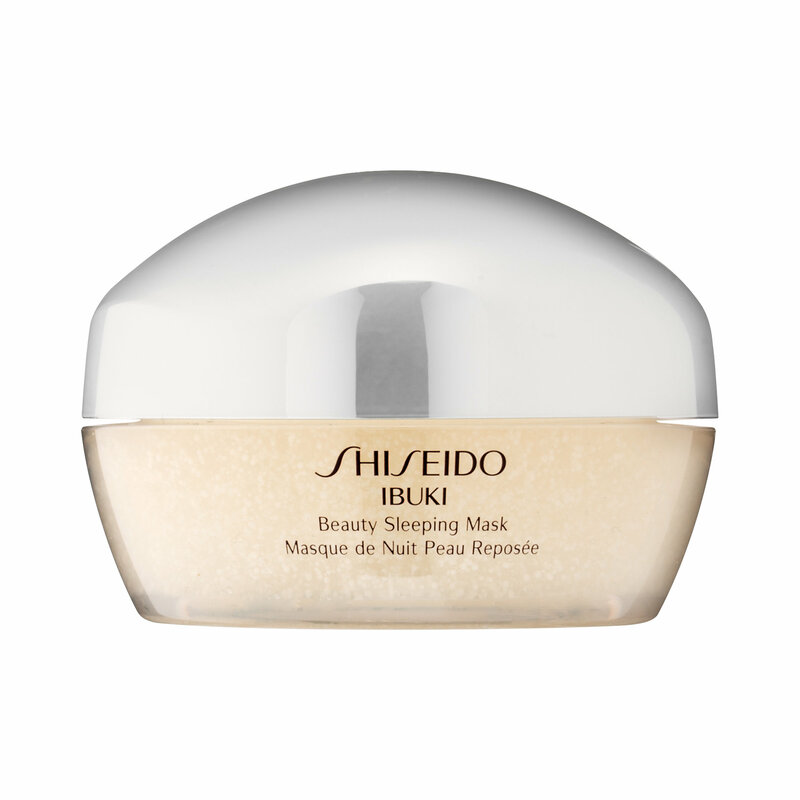 The Clinique Scupltwear Contouring Massage Cream Mask, 50ml and the Shisiedo Ibuki Beauty Sleeping Mask are both €46 and great for hydrating dry skin.